Four aspiring young talents in the hospitality industry received a helping hand towards their dream profession after securing a £1,000 scholarship each from the WSH Foundation. 2013 recipients included Samuel Knott, catering assistant at St Andrews Preparatory School, Martina Stankovianska, common room supervisor at SAID Business School, Agnes Eordogh, waitress at St Cross College, and Paulina Koczorska, hospitality assistant at Herbert Smith Freehills. Worth £1,000 per annum for each year of study (to a maximum of £3,000), the WSH Foundation Scholarship has been created to encourage WSH employees or their dependents to undertake a course of full time study to enable them to achieve their ambition in the hospitality industry. Rebecca Dibben, a 22 year old Restaurant Supervisor at Deseo Mediterranean Restaurant, Gleneagles Hotel, won the inaugural Gold Service Scholarship. She beat five other finalists who competed at a special lunch service held at London’s Westminster Kingsway College in February 2013. Designed to inspire a new generation of young people to make a professional career out of front of house hospitality, the Gold Service Scholarship is backed by industry greats including Willy Bauer OBE, chairman of AB Hotels, Edward Griffiths, Deputy Master of the Household at Buckingham Palace and Alastair Storey, chairman of WSH. Caterlink Foundation donated £500 towards purchasing chickens, equipment and feed for Saint Mary’s Catholic Primary School in Maidenhead. 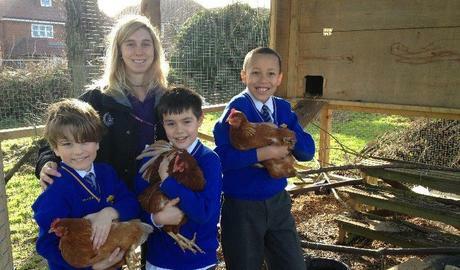 Sally Andreou, cluster community liaison and fundraising co-ordinator, said: “The chickens are a great success, our pupils love caring for them and collecting the eggs. They now have a greater understanding of animal welfare and the difference between battery chickens compared to free range chickens. 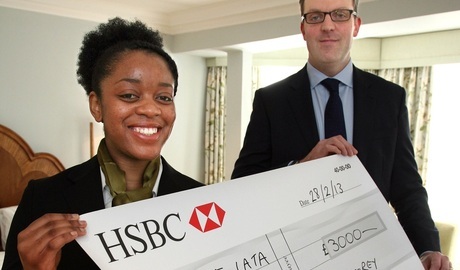 23-year old Basanga Kibadi Lata from Manchester, was awarded a £3,000 scholarship from BaxterStorey, to begin her studies at the pioneering Edge Hotel School in Colchester, Essex. She joined the school in February and is working towards a Foundation degree (FdA) in Hotel Management. The Edge Hotel School is the UK’s first hotel school based entirely in a fully operational commercial hotel – the four-star Wivenhoe House hotel – where the course combines academic study and practical experience. 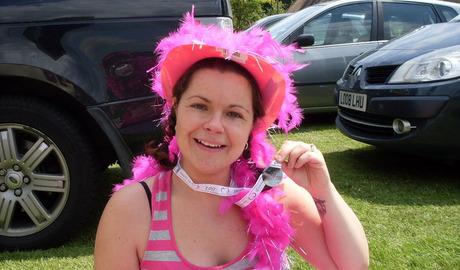 “In April this year, I signed up to do the Race for Life with my mum because we have both been affected by cancer several times over the years. My paternal grandmother died of lung cancer, my mother in law passed away in 2006 and in 2007 I lost my wonderful, devoted, kind and loving dad to cancer. One of my best friend’s dad beat cancer a year ago and I’ve seen many other friends and family members go through scares and losses over the years. “For that reason it is very close to my heart and I want to support those that have to go through the same thing in the future. 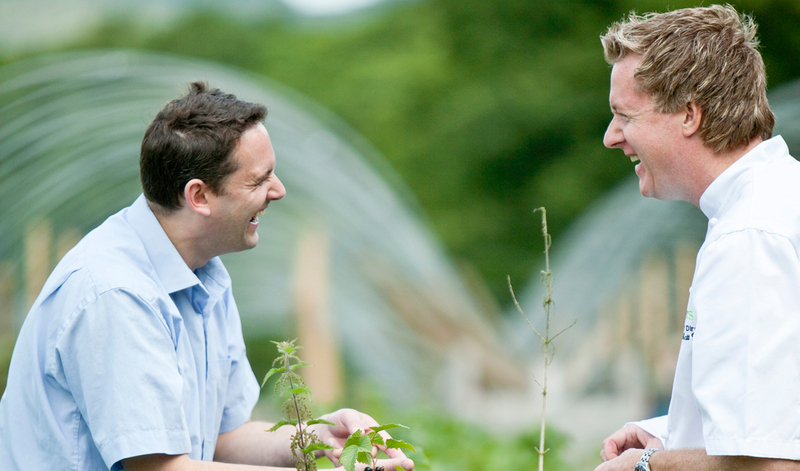 “When I sent an e-mail around the office asking for people to sponsor us for Cancer Research, someone said I should put in a request for the BaxterStorey Foundation – our company charity – to sponsor me too. Just before we were due to complete the run, I was told I had been successful in my application but that I would not be getting the £500 I had requested. I was a little disappointed but grateful for any amount - that is until I was told I would actually be getting a whopping £1,000! “I cannot explain how happy I was to receive this much money as I knew how it would go towards finding a cure for the disease and hopefully preventing another family going through what mine have gone through. It meant to so much to me to think that the company I work for cared enough about what was important to me that they thought my efforts to raise money were not just worth matching but worth tripling what I raised.